Unlike traditional hard disk drives, Intel solid-state drives have no moving parts, resulting in a quiet, cool, rugged storage solution that also offers faster system responsiveness. SSDs offer instant access to the drive which means that desktop computer boot time is dramatically reduced. For laptop PCs, the lower power needs of Intel SSDs translate to longer battery life and lighter notebooks. Higher performance with more durability means you can be truly mobile with confidence. Why are SSD drives better? With powerful Native Command Queuing to enable up to 32 concurrent operations, Intel Mainstream SATA SSDs deliver higher input/output per second and throughput performance than other SSDs on the market today – and drastically outperform traditional hard disk drives. These drives also feature low write amplification and a unique wear-leveling design for higher reliability, meaning Intel drives not only perform better – they last longer with a 1.2 million hour life expectancy. The Intel Solid-State Drives with an unbelievable 6.0 Gb/s , delivers exceptional sequential read speeds compared to traditional hard drives for significantly better overall system responsiveness. With double storage bandwidth compared to standard hard drives for faster application launches and file loading, an Intel SSD helps take your PC to a new level of performance. More responsive than traditional hard drives for a better overall PC experience. 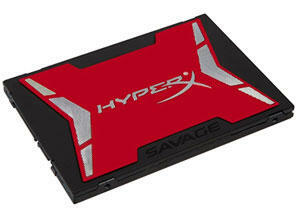 High SATA sequential read speed performance. Up to 550 MB/s Read; 520 MB/s Write. No moving parts reduces the risk of data loss in case of laptop bumps or drops. Consumes less power than a traditional hard drive so you can stay mobile longer. Install an Intel High-Performance SATA Solid-State Drive and reduce the time it takes for your new applications to install. Get up to 40% improvement with Intel High-Performance SATA Solid-State Drives, on application installation when compared to traditional hard drives.